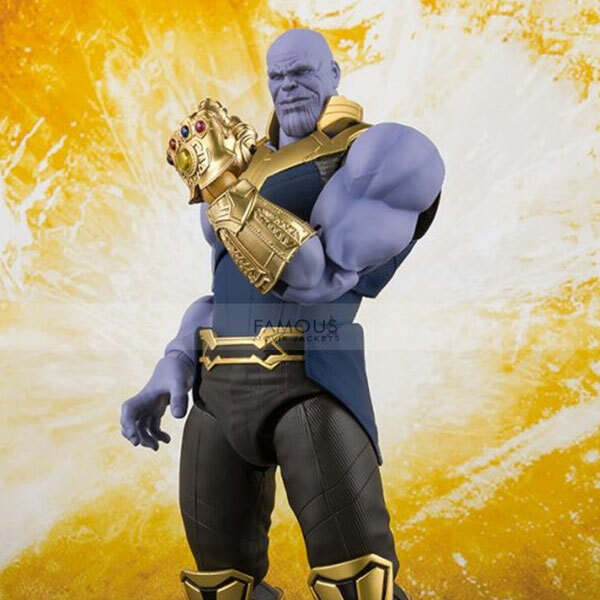 Thanos is the fictional character has appeared in an American Comic Books. Considering the power and popularity of the character, the character performed in numerous Marvel Cinematic Universe. 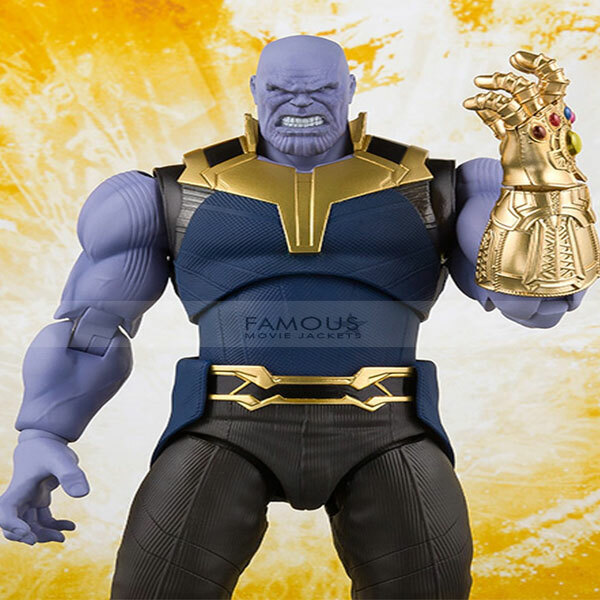 On huge demand of our customers famousmoviejackets.com is presenting an up-to-date and modish Avengers Infinity War Thanos costume taken from the superhero movie Avengers Infinity War. The costume vest goes well not only in costume party but will give you glow being a fashioning companion in regular everyday routine. Good news is that you can customize your vest in leather and cotton according to your desire. 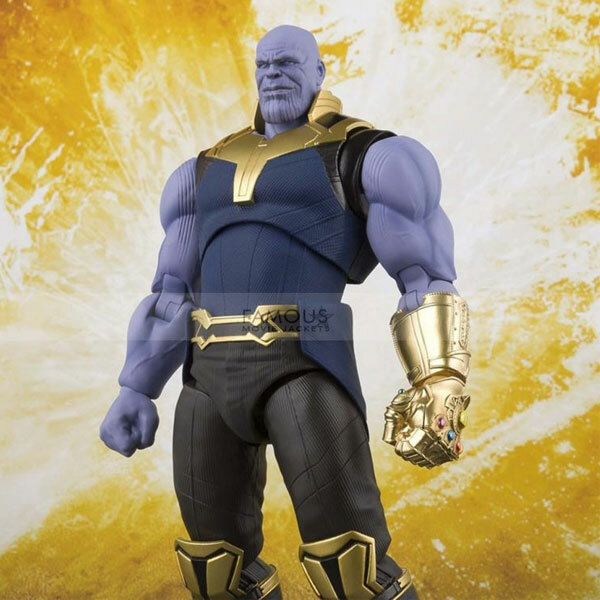 This pull over Thanos costume is available in charming blue color with golden colored standup lapel. Inner viscose lining is stitched finely so that you can easily wear your pull over. Short-long style is the distinctive feature in this Avengers Infinity War Thanos Vest. Want to style idyllically? Then must grab this article. All you need is to just send your order request. We will shortly come back to you via an email.